Get a green bar assurance with Comodo EV SSL that offers highest validation, strong encryption and secures online information of customers. You have reached right destination as Cheap SSL Shop is offering Comodo EV SSL at all-time lowest price. Comodo EV SSL is the most reliable certificate in SSL industry that not only secures your website from phishing but also authenticates your business. This certificate enables green address bar and shows organization name in supporting browsers that will help your customers to avoid phishing websites. This certificate secures your www and non-www domains and is well equipped with 2048-bit root encryption. Customers can click on the green bar in browser to see the certificate details; it will increase customer confidence and assures them that they are dealing with the secured website. Comodo offers US$1.75M warranty against mis-issuance of EV SSL certificate. 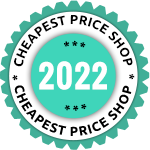 Being Authorized re-seller of Comodo, Cheap SSL Shop brings amazing discounted price of EV SSL certificates for their existing and potential customers. The issuance process could take up to 10 days from purchase date. EV SSL carries highest authentication. Comodo follows Extended Validation process and strictly verifies your business reliability by conforming business registration documentations. A strong 256-bit encryption provides enough strength to secure online transactions. Customers will have the benefit of stronger encryption to secure their personal information. The majority of browsers has Comodo root/intermediate certificate in their directories, hence your customers would smoothly browse the website without any SSL warnings. A free dynamic site seal enhances the confidence of customers. You should place this free Comodo site seal on your website that will help to increase the trust of customers. 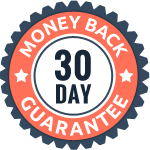 After getting the product, if you are not satisfied with the product for any reason, you are free to get your money back within 30 days. Get your domain verified along with extended validation that provides trusted recognition to your domain with the green address bar.